Following the release of Team17 and Ghost Town Games Overcooked 2 fans have been asking for a lot of new changes and additions. The biggest being New Game Plus and the developers are hard at work making it happen. Players will be able to replay all the 45 levels within the story again but with another extra star for true cooking masters. No release date was provided but hopefully, it'll come before this month since September starts the season of empty wallets. 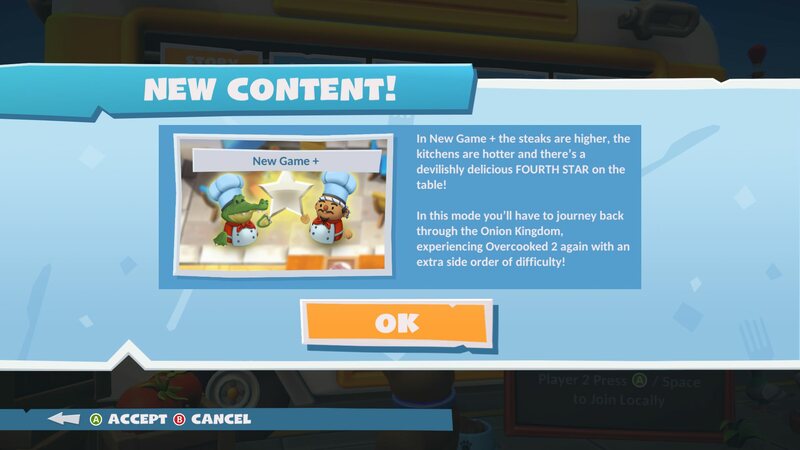 Once chefs have ventured through the Onion Kingdom for the first time, they’ll be able to jump into New Game+, replay the game’s 45 kitchens, and aim for that even higher tier of culinary greatness, to achieve 4 stars on each kitchen. The steaks have never been higher! Overcooked 2 is available now on PC, PS4, Xbox One, and Switch.